In this lecture, Tony Stoller, Chair of the Joseph Rowntree Foundation and the Joseph Rowntree Housing Trust, considers the relationship between popular discourse and policy-making. Drawing upon recent examples from a wide range of sectors, including adult social care, welfare reform, housing and broadcasting, he assesses the impact of giving undue priority to managing public debate over the task of designing and delivering effective policies. We no longer inhabit the age of mere ‘Government by spin’. What we have now is a completely new paradigm for public policy-making, dominated and managed by what we can call the ‘new elite’. It is a coalition of politicians, policy wonks, commentators, journalists and media owners, who both shape and comment upon policy. They are the masters now, and they jointly take part in a symbiotic dance, which the public is encouraged to believe they are part of, but from which they are in reality consciously excluded. For the moment, let us just say that we can now identify the closest of inter-relationships between many media owners and commentators on the one hand, and elected politicians, policymakers and some senior officials on the other, going beyond anything which had been normal practice in the past. Within this ‘new elite’, think tanks have taken over much of the policy-proposing role of the professional civil service, as the latter’s numbers are reduced. That potentially widens the circle of policy-making, and is proving valuable in the devolved administrations in that way, but it also means that a century and a half of civil service expertise is being sidelined. Add to that the extraordinary revolving doors between posts in Government, think-tanks, special advisers, media and regulation, and you have a new paradigm run by a ‘new elite’. The changed relationship between those whose job it is to make policy, and those whose nominal role is to report on and criticise it, is undermining our ability as a nation to formulate, properly debate, and then implement public policy. The language of ‘benefits’ and the ‘welfare state’ have become ‘dog-whistle’ words of implicit abuse. Politicians assert that housing benefit is designed for “those who lie in bed with the curtains drawn”. Those on benefits are ‘scroungers’, ‘benefits cheats’, and the like. The picture we have of those who are poor is that provided by television programmes like Shameless, reinforced by the patronising toleration of stereotypes by members of audiences in television programmes from Question Time to The Jeremy Kyle show. The media presentation of ‘facts’ which are nothing of the sort exacerbates the problem. For instance, we all read about, and eventually subliminally come to believe in, the supposed massive problem of teenage girls who get pregnant in order to get themselves local authority housing. The concern is also over the partial use of statistics, promoted as part of this managed discourse rather than as grist for genuine debate. What actions can we undertake to manage the new policy-making paradigm for the common good? First, we must return to policy-making properly based upon valid data; insist that that data is effectively open source, available un-packaged by opinion to those who wish to participate in the debate; and ensure that we are informed by those voices that are usually unheard. The second task for all of us is to prevent the Leveson report, and the action which should follow from it, being undermined by the very processes which it has exposed. Third, we need to be alert to the growing trend to let go the impartiality requirements on broadcasters. And last, we need to help the public as a whole to understand social media, to appreciate its strengths and weaknesses; to know what represents a genuine view ‘trending’, and what has been artificially set up to appear as such; to realise that there are those around who regularly offer to sell us another hundred or thousand followers. The social media could be about a genuine upwelling of public opinion, but they are open to manipulation as never before. “Labour should say what they mean, and mean what they say. ” These are words of Tony Benn. 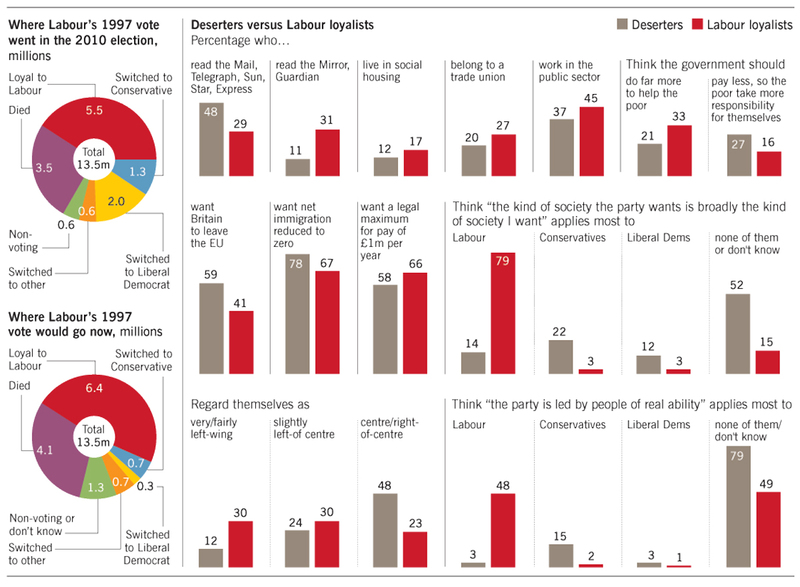 A return to honesty in politics was something promised at the last election, that among pledges lacking in substance. The politician and party which can inspire a nation, engender trust and respect and make a difference to the lives of millions is what Britain is crying out for. 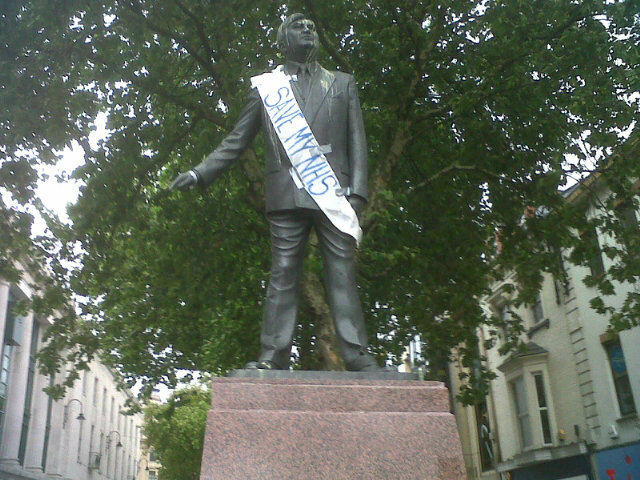 Aneurin Bevan had those qualities, and did so. 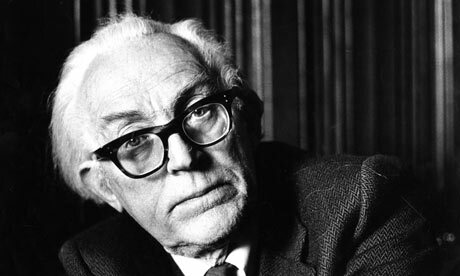 Michael Foot was a man of integrity honesty and direction, a true advocate for socialism, and said in 1956, “Socialism without public ownership is nothing but a fantastic apology”. To watch Tony Benn speaking on “The issue is Thatcher “in the eighties, leaves a hunger for more of the same. Since 1997, Labour have lost 5 million voters. One reason that the Labour Party was so frightened by Thatcherism, it bought into the media’s idea that the party needed to change its socialist principles. Eventually it changed so much it had metamorphosed into something Thatcher herself would have welcomed, so it was no longer the party for the working class, and so many walked away, disillusioned. It is a myth that the escalating capitalist bubble can serve everyone. These are policies intended to anaesthetize, the new religion – people controllers. The voters do not need any more pills to pop to change their lives; they need policies and representatives brave enough to put their heads above the parapet and tell the truth, to expose the myths and scaremongering. Others, disenfranchised and lacking trust in politicians of any colour stay at home, many of the apathetic generation having never voted at all. Cynicism and apathy is unsurprising against a backdrop of media corruption and lies. The Hillsborough disaster, (10) the scandal of child abuse surrounded Jimmy Savile (11) at the BBC, in Broadmoor and hospitals, phone hacking at the News of the World, and police malpractice during the Miners Strike (12) have all been topics of media cover-ups. This is the same media that slated Michael Foot and demonized Tony Benn, attacked the unions and the Labour Party at every opportunity, effectively making an impotent opposition to neoliberalism, a chameleon Labour Party too frightened to speak out. Of all the lies, none is bigger than the suggestion that the national debt is the highest ever. Deliberate confusion is created regarding the difference between national debt and deficit. Lies about privatization of the services such as NHS, education and even the police. Lies that cuts are necessary, that we are all in it together, while the rich accrue obscene wealth while trampling on the death and decay they have created. Democracy around the world is held in hostage. US lobbyists are even infiltrating the elections of police commissioners (Telegraph report) (7) , and many MPs hold contacts with financiers (Britain Under Siege, Think Left) (16) . Power snatched from the people, held by the very rich echoes the Middle Ages, a neofeudalism (18) . The corporations control think-tanks (26) which decide policy, and hide their identities. Was this the intention of those who fought for the vote, for workers’ rights, and for equality? Hidden behind the headlines, the Coalition government rules by stealth, themselves subservient (6) to a Plutonomy (18) which is both unsustainable, and unnecessary. Yet, the opposition still quakes in fear of speaking the truths, fear of past memories. This is the opportunity for the Labour movement to rise again. A strong, straight-talking Labour Party will be welcomed back with a land-slide, and in power must redress the balance-of power. The electorate is crying out for a Labour Party to stop hiding in fear behind the establishment. Those voters have an intellect underestimated by politicians . they know the policies that we need. Unlike Cameron and Osborne, the people are living it. People are looking for some straight-talking, honesty and integrity. Courageous politicians like Aneurin Bevan who presented policies to an eager electorate and changed the lives of millions. In the words of Tony Benn,(28) Labour should say what they mean and mean what they say. This is the way we need Labour to speak – why don’t they? Confident, courageous and compassionate, Labour must seek to pursue the policies which will change our world. WORK FOR FULL EMPLOYMENT for those that can work, maintaining a safety net for those who cannot. NATIONALISE RAILWAYS (31) and REVOLUTIONISE PUBLIC TRANSPORT. REBUILD OUR COMMUNITIES, libraries, youth services, sports facilities, high streets and local co-ops. MAKE THE COURAGEOUS STATE (5) A REALITY. 3. Richard Murphy: Tax Research UK Has the public’s tipping point on tax arrived? 30 What is George Osborne playing at? Who pulls the Strings at the BBC? The BBC should be an important voice, not least because we, the people own it- and its users, ( so that’s us again) – fund it. We would hope to be able to trust it to provide quality educational material and to keep us informed about what is happening in the world, and honest and accurate reporting. Today, rather than report on Ed Miliband’s letter to the House of Lords about the Health Bill, the BBC bombards us with articles about the Falklands, Syria and disgruntled Christians. So what is happening at the BBC? We are kept well informed about the goings-on in the Falkland Islands. Is that a co-incidence in that as I remember it was the flag-waving and cheering of the departing ships, which led to a recovery for Margaret Thatcher in 1982 when the public-service cuts were hitting hard? The BBC inform us of the coming-and-goings of managers of football clubs, and then about complaints from Christians about being marginalised. I am unsure as to why the BBC should be a voice for religious groups – isn’t that what churches are for? While all this is going on, the most unpopular policies in recent years go unreported by the BBC, and by much of the Press. The Health Service Reform Bill amounts to privatisation of the National Health Service as the most unpopular policy in sixty years. It is the duty of the BBC to keep us informed, and News is being stifled. Why are the BBC failing to do so? Neither of the Coalition parties have an overall majority, and, despite campaigning to protect the NHS, the Tory-led Coalition are railroading through privatisation of the health service at great cost to the British people, in terms of health, loss of assets and skills. Both Coalition parties must be held responsible for the destruction of the NHS. While the Independent reports the cost of 600 million pounds, as a result of the redundancies from NHS cuts, the BBC do not. While the Guardian and the Scottish Herald briefly reported of The Spartacus Report and Disability Living Allowance and Welfare “Reform”, the BBC did not. While Sky News reports that Ed Miliband, Leader of the Labour Party, has written to the House of Lords asking it to drop the Health Bill, the BBC do not. It is the responsibility of the BBC to report and represent the Leader of the Opposition, the Government ensures its activities are reported as they wish them to be. We are kept informed by the BBC of developments in Libya, in Iran and now in Syria, with the purpose of preparation for war. On Think Left CJ Stone writes of Manufacturing Consent for the Invasion of Iran. The media consensus is to ensure that the US and its allies can depend of governments of the world to open up markets to foreign investment – in other words to multinationals and through the global market ensure that the very rich remain rich and powerful, no matter how much poverty and starvation there is, or no matter what permanent damage to the planet results. Dr Tristan Learoyd’s (Think Left) article on the aftermath of the war in Libya questions whether the Libyan people face really freedoms or that of another tyrant, global unbridled capitalism. The BBC are consistently failing to report accurately, if at all. They are failing to inform and to educate. Lies and propaganda cloak the facts. The lack of BBC’s challenging reporting questioning the government’s viewpoint can be shown in their reporting of George Osborne’s agreement with the Swiss banks. The type of language used and the tone of delivery invited certainty in the desirability of this decision. The only caveat referred to was that because the agreement did not come into force until 2013, there was still plenty of time for the secret bank holdings to be moved to somewhere where no tax would be liable! To say that this is a quite extraordinary act by the UK government massively understates the irresponsibility of what they have agreed. The UK is apparently going to accept settlement for past tax at around 30% of the assets held in a Swiss account. That might be reasonable if the funds placed in Switzerland had been taxed in the UK before being deposited in Switzerland and it was only the income on those funds that had been evaded since then. But what we know for sure is that most money held in Switzerland got their illicitly – it was not taxed before its arrival in the Alps. It’s tax evaded money. As a result we would now expect 40% tax (at least) on the capital in all these accounts in Switzerland as a matter of course plus a 100% penalty that might reasonably be charged in a case of deliberate tax evasion (meaning in total 80% of the capital balance should be paid to settle the tax originally evaded) and then there is of course interest due on the late payment plus tax due on the income earned since. Nothing less than 100% is due on these balances – wiping them out of course – and anything else is a scandalous underpayment. In spite of these charges, there was no counterbalance on the BBC, to George Osborne’s extraordinary claim to be ‘cracking down on tax cheats’. But then again there all too rarely seems to be any serious attempt to question government explanation. “Richard, might I ask an unrelated question? What do you think of the BBC’s current financial coverage? Do you think it is extensive, honesty, penetrating? Is it reflective of the real turmoil and double-dealing taking place in the City of London, or is it supine and obfuscatory? I was stunned to find that the BBC had dedicated part of its website to asking which ‘cuts’ people felt the government should make; and this in spite of the fact that the banks had been handed trillions of pounds of taxpayers money? 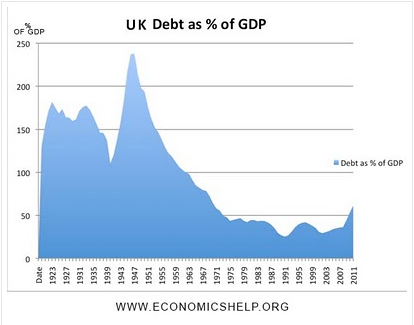 No mention was made of the fact that the private debt of the the banking sector was transferred to the public’s balance sheet – nor was there any mention that this private debt crisis, because it was shirted onto the public balance sheet, helped to trigger a fiscal and thence sovereign debt crisis! Do you think we are seeing honest reporting of events? If not, how do you think we can go about solving this problem? ‘The price of freedom is eternal vigilance’ which means democracy requires us having access to information which we’re not getting from the BBC. In sum, the media set the limits on public discourse. And so, eventually we know and believe only that which we are permitted to, because that is what suits the powers that be. In generations to come, history can be rewritten if it is allowed to be. Eventually we become nothing but zombies walking around with a false reality. Tax Justice Network :John Christensen Are journalists doing enough to warn people of impending problems? The Morning Star :“Our” BBC is little more than right-wing propaganda.